There was a sizeable ex-pat community in Valparaiso at the time of the destructive 1822 earthquake. For instance William Bridges Adams, inventor of the fishplate and the axle used on British Railways until 1968, managed the estate of Thomas Cochrane and survived the earthquake along with his family. The most notable report of the earthquake was written by Maria Graham and sent to her friend Henry Warburton, later President of the Geological Society. Maria Graham has already been blogged about on this website by Sarah Day, read her article here. Maria Graham had arrived in Valparaiso on the HMS Doris in April 1822, alone. She had been invited to travel with her husband, the captain of the HMS Doris. Unfortunately he had succumbed to a fever rounding Cape Horn, and so she arrived in Chile newly widowed. She did receive many offers of help from the British community living in Valparaiso, but she refused it all, determined to survive by herself. Renting a small house among the local inhabitants rather than with the British, she gathered her resources and made her plans to return to the UK. Fate was unkind to her once more, bringing the earthquake in November. Her account described the coastline rising four feet in height along a stretch at least 100 miles long. 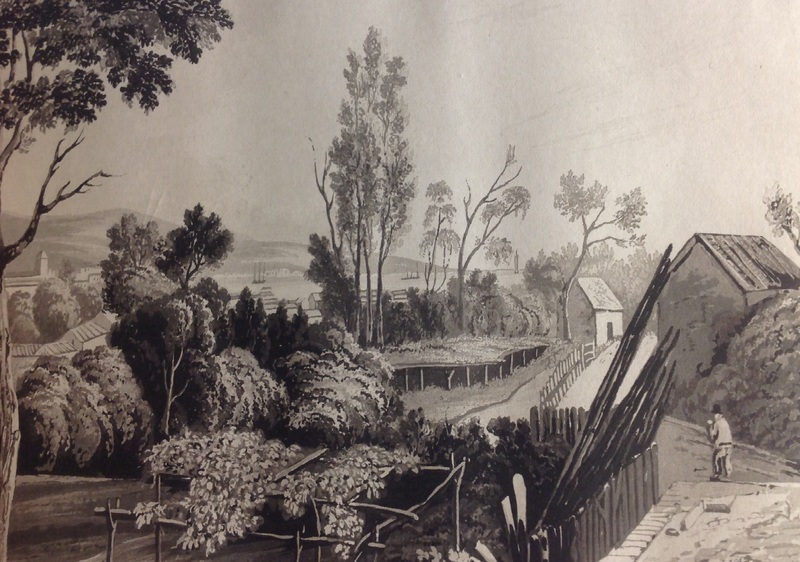 As her description was one of the first available written by a learned person, Henry Warburton sought her permission to publish it in the Transactions of the Geological Society (series 2, volume 1 (1824) pp 413-415). It was the very first article published in the Transactions of the Geological Society to be written by a woman. In it she describes going to view the newly uplift land with Lord Cochrane. Within the Meeting Room of the Geological Society a gentlemanly, but vigorous debate was slowly simmering between the Plutonists and the Neptunists regarding the formation of mountains. Charles Lyell, firmly on the Plutonist side of the argument saw Maria Graham’s description as strong evidence that land formation occurred through dramatic, seismic and volcanic events. He used her descriptions of the earthquake in his ‘Principles of Geology’ to support his argument. Others within the Society were more inclined towards Werner’s Neptunism. The idea that land formed as a process of sedimentation of mineral matter held suspended in the water of the oceans and thus formed much more gradually. The very thought that a four foot rise in the level of the land could happen in a matter of minutes was clearly preposterous. They were not impressed with Mrs. Graham’s account at all. Meanwhile, utterly oblivious to the heated debates of well-fed gentlemen in London, Maria Graham was making her way back home by working her passage. She took a job in the palace at Rio de Janeiro as tutor to Princess Maria, heir to the Brazilian and Portuguese thrones. During this year, she developed a good friendship with the Empress of Brazil, Maria Leopoldina with whom she shared a love of the natural sciences. It was not to end well however. 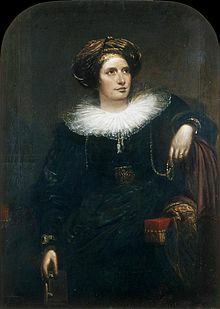 The court of the Emperor of Brazil suspected that Maria Graham was trying to inculcate Anglicanism in her charge and she was obliged to leave her position in Brazil to finally sail back to England. On her return, she wrote journals of her travels, including her account of the Valparaiso earthquake as well as a commissioned book on the voyage of HMS Blonde. This detailed the long journey to the Sandwich Islands (now known as Hawaii) to return the bodies of the Hawaiian royal family who unfortunately succumbed to measles after travelling to the UK by charted whaling ship on a royal visit. The rumblings of discontent (or possibly indigestion) at her account of the earthquake emanating from the Neptunian half of the Geological Society were not brought to her attention. This remained the case until the President of the Society, and notorious map-maker, George Bellas Greenough felt the need to question the validity of the evidence for Plutonism. This meant attacking the reliability of Maria’s eye witness account which he ridiculed in his Presidential address to the Society, published widely in ‘The Athaneum’ in 1834. This was beyond the pale. Maria had remarried and her new husband as well as her brother offered to duel Greenough. It would have been the first and possibly last geological duel to be fought. We will never know whether Greenough would have selected rapiers or pistols however. Her nephew reported that she told her relatives to “Be quiet both of you, I am quite capable of fighting my own battles, and I intend to do it.” Instead of bloodshed, she published a pamphlet directed at the Fellows and members of the Geological Society castigating Greenough for his wilful words and correcting him on some of his more wild accusations. She was backed up by none other than Charles Darwin. A year later in his report on the 1835 Chilean earthquake, which he had witnessed while aboard the HMS Beagle, he described a similar uplift of land confirming Maria’s descriptions. For the time being the Plutonists had won and Maria had defended her honour admirably. 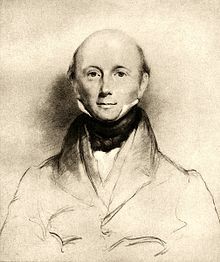 George Greenough was succeeded as President of the Geological Society by Charles Lyell. Maria’s second husband, like her first, was not a natural scientist. He was the noted landscape painter Augustus Wall Callcott. He was knighted in 1837, and Maria became Lady Callcott. 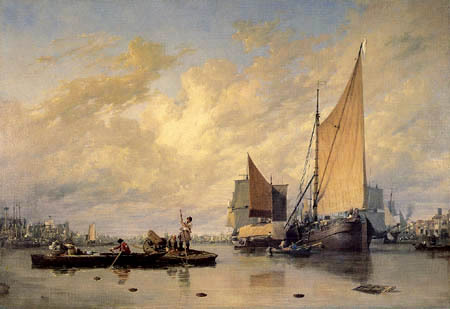 One of Augustus Callcott’s more famous works is ‘The Entrance to the Pool of London’, a maritime image completed in 1816 showing the stretch of Thames looking upriver from Rotherhithe. It was painted directly over where the Thames Tunnel was begun nine years later. His nephew, and the reporter of Augustus’s offer to duel George Greenough was, of course, John Callcott ‘Clothes’ Horsley, creator of the very first Christmas card, a year after Maria’s death in 1842. 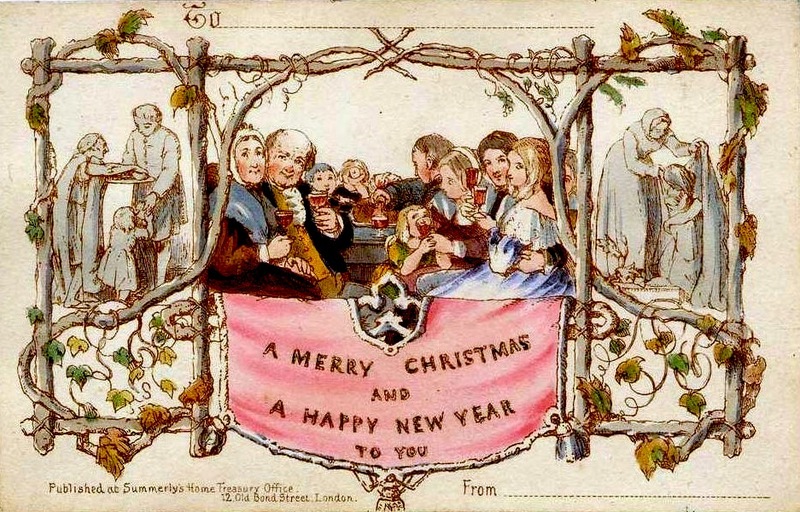 As we complete the circle of links and wonder whether the image on the first Christmas card includes Lady Maria Callcott (perhaps that’s her on the left) and the younger Isambard Kingdom Brunel (in the centre pouring a drink?) it only remains to wish you all a very Happy Christmas and New Year! 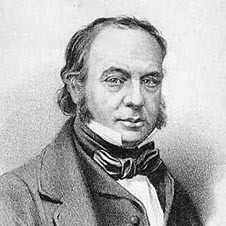 Tags: advent calendar, Charles Lyell, christmas, Earthquakes, george greenough, history, Isambard Kingdom Brunel, Maria Callcott, Neptunism, Plutonism, Transactions of the Geological Society, Valparaiso Earthquake 1822. Bookmark the permalink.